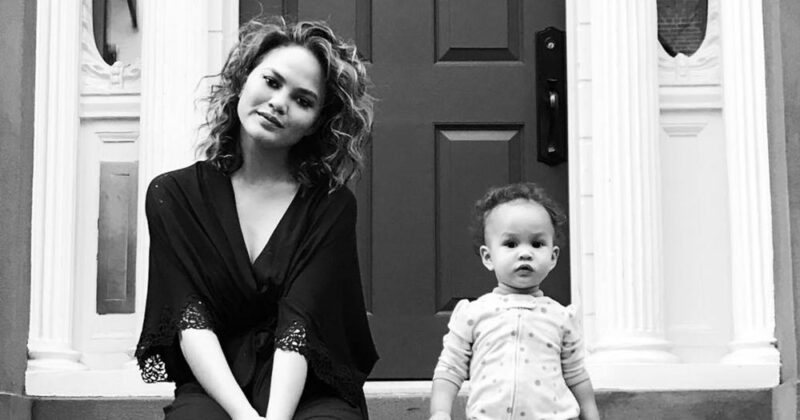 Chrissy Teigen has been incredibly candid in sharing her experiences with postpartum depression, and now, as she gears up to deliver her second child, she has some serious and natural concerns about having PPD again. Speaking at the Create & Cultivate conference on Saturday, February 24th, Teigen said her postpartum depression journey has made her worried about her second birth, but she’s “ready” for whatever may come. Teigen went on to explain that after her daughter Luna’s birth, she didn’t realize right away that she had PPD. “I had just had Luna. I knew I had an incredible life and husband and family and all the resources necessary," she added. "I knew that I was personally unhappy, but I didn’t think that anything was wrong with it because I just assumed that that’s the way it goes. You have a kid, you’re sad, you lose those endorphins and that’s the way it is." Teigen wrote an essay about her depression for Glamour in 2017 and says that when she finally came to terms with her symptoms, she got a prescription for an antidepressant and things began to look up. We’ll take Teigen at her word. She says she’s ready for whatever may come, and we have no doubt that she is.